I haven’t played any of my Political Cards down in attack mode in quite some time, but tonight, I am doing just that. With the new vigor of those Democrats and Republicans on the Hill that have nothing left to lose and nothing left of value to give, a web of bills giving the government all sorts of new magical powers is being woven around the American People. This plan to expand the girth of government is being set to afterburner because the well needed Change that is often promised in Washington but never fulfilled has never seemed as possible as it does now. Alas, my hardened pessimistic eyes look at things like the Arizona Republican senate race between the man no one wants, McCain, and the man everyone else doesn’t want Hayworth, and I see two people who are far too right-wing for the progressives that claim to be liberal and are far too left-wing to bring about the policies to bring about the future restoration of America. But let me not be distracted. The reason that I started this blog was to say a very simple collection of things. Wide sweeping reforms of all sorts are headed our way. A so-called financial reform was passed today, and soon we will see a so-called immigration reform make it through the House and Senate. I wanted to talk about immigration tonight. This is how we fix immigration. 1: End the Anchor Baby program. 2: Streamline the process of legal immigration and citizenship. This would include our government knowing who is in our country, preventing criminals from entering our country, insuring businesses follow proper hiring practices, and making sure when an immigrant’s time is up, they leave. I would have all of those implemented at the same time. I’m going to to bed. 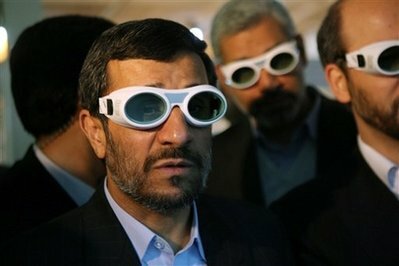 Looks like the ruthless leader of Iran is a fan of the anti-American movie, Avatar. Let’s start with a little politics since I haven’t done any in a while. I’m happy that Scott Brown, now I just have to sit on nails, hoping he doesn’t do anything stupid and ruin the conservative message in the great progressive state of Massachusetts. Please stick to the principles you spoke of when you were campaigning. I am not happy with Sarah Palin. She has done some great thing with just a Facebook account. Then she came out with Going Rogue and reading that show such a profound love for this country. If I saw her as a politician she’d be one of the very few that I trust. So why in the world would she be campaigning for McCain. I guy who doesn’t even seem to like her and did nothing to defend her when his people were lying about her after they lost the election. She says that McCain is waking up to how the progressive movement has infected both parties. All I can say is, I hope she’s right and I hope she knows what she’s doing. When it comes to left/right politics I firmly believe that the left desires greater government control over society towards the extreme of Dictatorship; where as the right desires less government control over society towards the extreme of Anarchy. That is why I was glad to see Glenn Beck draw together similarities between the more traditionally left perceived fascist regimes of Soviet Russia, China, and Cuba to the traditionally right perceived fascist regime of Hitler’s Germany. On the gaming side of my life I have just finished Dark Void and Dark Void Zero this past week. If you like the old NES Capcom games like Megaman or Duck Tails (woohoo) and also games like Mertoid or Castlevania I would highly recommend downloading Dark Void Zero for the DSi. It’s cheap, but short, but fun. As for the Dark Void, I would say that it was worth playing. I would have liked a better mix of the game’s mechanics, but I would say it’s worth a rental or purchase after a price drop. And please, don’t take either Dark Void game too serious. Games beat this year is currently at 6 which is a great number for me. I may start to catch up to my backlog . I know you are already following myself (Adam Scott Prenger) due to the fact that I am a bitter right wing GOP hack that has gone to multiple Tea Parties, but I want you to know that I am at it again. I have recently been paid by Aetna, Fox News, the Koch Family trust fund, Sarah Palin, Glenn Beck, Adolph Hitler, George H. W. Bush, GM (General Mills), the Minute Men, the KKK, Bowser, the far far far far right wing hate monger John McCain and a potato chip that looks like the Virgin Mary. This money was given to me so that I would go to town hall meetings and the local iced cream parlor and spread lies about President Barack Obama’s plans for heath care Reform. I have been spreading lies, things like how all babies will be mandatory aborted under Obama’s plan, tonsil transplants will be made illegal, and Soylent Green is people. I know it may sound crazy that I would turn myself in but I am clearly an enemy to State and also crazy. You know where to find me; come and get me. I have made the argument that the government’s power grabs at Health Insurance, Energy, Auto Manufacturing and Banking, equate to a form of modern slavery akin to that of books like 1984. This view point outrages some. People tell me that I am a horrible person to say that a so called Health Care Reform is like slavery and that it devalues the struggles and sacrifices of black Americans. Slavery records can be traced back to thousands of years before the existence of the United States of America. Slavery was never limited to one group of people and has been a part of nearly all human history. Slavery in America is deep disgrace of our history but our strides to bring freedom to everyone is falling is a new kind of slavery. Where Africans were forced into a physical slavery in America their minds remained free. That can be seen in the freedom songs that kept up the morale of blacks in despairing times. The slavery of our time is more subtle than the slavery of the past. We are looking at an incoming slavery of minds and hearts. There are so many people that cannot think for themselves and are standing by while others rush in a modern form of slavery. I fear more everyday that my voice will be drowned out by mindless moaning of political zombies and the idiocy of the Democrats and Republicans. Or will more wake up, rise and resound with my voice and those of reason?